He shall cover you with His feathers, and under His wings you shall take refuge. This reminds me of one summers a few years back. We had a Christmas wreath still hanging up between the two garage doors. A robin had built her nest there. There happened to be a torential rain storm. When I came home from work, there she was…her wings covering her babies. That’s how it is with God. Have complete trust that when the storm comes He covers us. His truth covers us…our shield…our protection. What is truth? Jesus is truth. He came to show us truth. So, now let’s put it all together. The storms come…and they do. He shelters us under His wings. But, you first have to abide in Him for Him to do that (verse 1). Then, His truth is our shield and our protection. What a promise this is! Are you trusting in this promise today? The only way you can truly believe that He will do what He says He will do, is to trust Him as your Lord and Savior. He died for you! He died an agonizing death…nothing pretty like dying in your sleep. It was torture! I can’t even fathom what He felt…and on top of that He was innocent! He did this all for us. He had the sin of the world on His shoulders. But He didn’t stop there. He rose again three days later. He’s Alive! He’s the only one Who has done that. Will you trust Him now? He shall deliver you from the snare of the fowler. OK, now what does that mean? We should all know deliverance, so I am not going to going into that. Snare is what you put out to catch an animal…a trap. That means we can get caught in a trap. Who would want to do that but our ENEMY, the devil. He wants to snare us into doing things against God. He hates God, and he does all he can to get us to turn our backs on Him. It’s a fight. It’s a war. We need to make sure that we don’t get caught in satan’s trap. So, the fowler is satan and his followers. He uses people to do his bidding. You know, he doesn’t have to work on those who follow him already. He’s after the Christians. 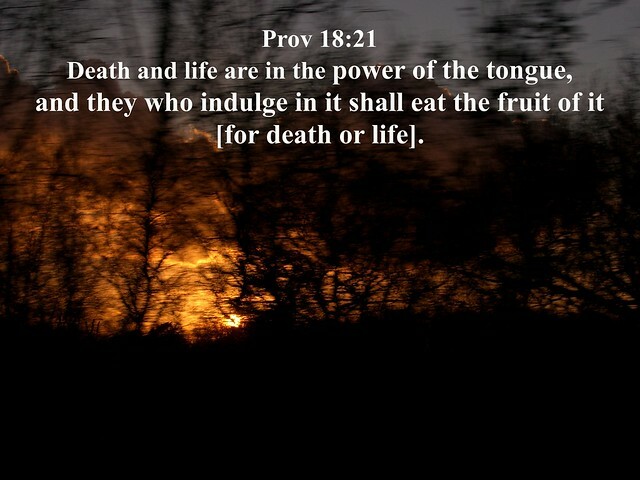 Those who profess that Jesus is Lord. He uses his followers to go against the Christians. Noisome (or perilous) pestilence. Another way to put this is deadly disease. That means God will deliver us from sickness…cancer, aid, heart disease just to name a few. Now let’s put this together with the first two verses we had studied earlier. We have our part…abide. Then God will do His part…deliver. That’s the way it is throughout the Bible. We do our part and He does His. A lot of people say that they’ll believe if God would do something for them. Well, what have you done for Him? Jesus died for you. What more are you asking? Come to Him…then the blessings will come. No, it won’t be easy. The devil will surely try to get you back, but keep on the narrow road, for it leads to life eternal. What an awesome book! Read this probably close to the time it came out…about 30 years ago. Anyhow, I didn’t remember much of it, so was like reading a new book. Very captivating. Here, she had fallen in love with a man, but he was not allowed, by his parents, to marry down. He came from a rich family. Corrie threw herself into her work. Taking care of her family. Helping as a watch repairman. Then came the awful day when the Germans took over and started exterminating the Jews. She became a big part of the underground. She was arrested. Lost many of her family during the occupation. But,she came back. All that she did afterwards is amazing. Her feelings during her imprisonment…very human. You can relate. He is my refuge and my fortress. What does this really mean? He is your safety. Your safety net! When you are about to fall, there He is. He is my God. Can you say that? And mean it? Is He your God in EVERYTHING? He needs to be your God in the thick of things…even when things are not going good for you…in the storms of life. Go to Him. He is waiting for you! In Him will I trust. The amplified bible says I will confidently trust. Wow! Confidence! Like, if you are falling, you know He will catch you! Remember when you were just a kid. You had complete confidence that your parents would take care of you…no matter what. Well, this is about the same thing, except God can do it always! He never sleeps. He does it better than your parents could ever dream of doing it! So, what are you going to do about this? it is now in your lap. It is up to you. Are you going to let Him be your safety net? Can you say He is your God? If not, now is the time to come to Him. Have complete trust in Him that He loves you beyond all measure. Today we will begin a series on Psalms 91. This happens to be a favorite of mine, so there has been much study in this. So, here we go! Verse 1 – He who dwells in the secret place of the Most High shall abide under the shadow of the Almighty. We will begin with dwell. Now, where do you dwell? You dwell…or live…in your house. So, here we will be dwelling in a secret place. Now, when I was younger, I had a secret place behind the chicken coop! But this secret place is much better than that. If you are dwelling or living in God’s secret place, you will NOT be found! But, now only are you dwelling, but you are abiding under His shadow! That must mean our God is pretty big for us to abide in His shadow. You’re not being pushed against the rocks. You are living in His shadow! Wow! Can you just imagine that? So, how big is your shelter in Him? That shadow pretty much depends on how big you have let your God be. You can either be pushed again the rocks or you can have a mansion. I, personally, am reach towards that mansion. Let’s reach together. Have you ever thought about the words your speak? Do they uplift or bring down. Those who love it will eat it’s fruit. OK, so what are you speaking. What ‘fruit’ are you producing today? Words are powerful. Have you ever had someone speak negatively about you or towards you? It brings you down, doesn’t it? Well, now how about someone speaking positively? Makes you feel good about yourself. That you are worth something. So, if you like someone to speak positively about you, why don’t you do that to others? My advice to you today is to speak positively about someone today, and tell them what you see good in them. Then, watch them light right up. You’ve just produced some good fruit!